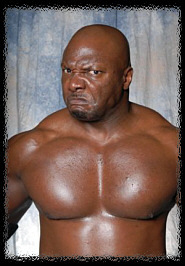 - OVW Super Summer Sizzler Series '06 (June 2) = Evans defeated the Real McCoy. - OVW Super Summer Sizzler Series '06 (June 16) = Evans lost to the OVW Television Champ, Seth Skyfire. - OVW Super Summer Sizzler Series '06 (June 30) = Evans again lost to the OVW Television Champion, Seth Skyfire. - OVW Super Summer Sizzler Series '06 (July 28) = Evans fell to Jerry Lawler. - OVW Super Summer Sizzler Series '06 (August 11) = Evans & ODB were beaten by Shawn Spears & Serena. - OVW Summer Sizzler Series '07 (June 1) = Evans & Justin "The Ox" LaRoche stayed the OVW Southern Tag-Team Champs, but lost, via DQ, to the Major Brothers. - OVW Summer Sizzler Series '07 (June 8) = Evans & Justin "The Ox" LaRoche retained the OVW Southern Tag-Team Titles, winning a "No Disqualification" Match over the Major Brothers. - OVW Summer Sizzler Series '07 (June 15) = Hammer, Ox, & Dr. Tomas lost a "Handicap" Match (and the OVW Southern Tag-Team Titles) to the Major Brothers. - OVW Summer Sizzler Series '07 (June 22) = Hammer & Ox lost to the OVW Southern Tag-Team Champs, the Major Brothers. - OVW Summer Sizzler Series '07 (July 6) = Hammer fell to Jacob Duncan. - OVW Summer Sizzler Series '07 (July 13) = Hammer, Ox, & Dr. Tomas were beaten by Elijah Burke & Cryme Tyme. - OVW Summer Sizzler Series '07 (July 20) = Hammer lost to Antoni Polaski. - OVW Summer Sizzler Series '07 (August 3) = Hammer & Ox defeated the Major Brothers. - OVW Summer Sizzler Series '07 (August 10) = Hammer, Ox, & Kenny Bolin fell to Mini-Bolin & the James Boys.